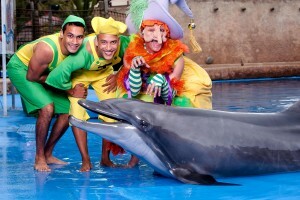 Get ready for an Awesome New Dolphin Show at Ushaka! 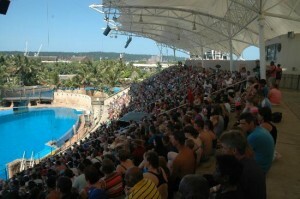 The I Love Durban team were treated to be one of the first to watch the brand new dolphin show at Ushaka yesterday. Ushaka Sea World boasts an impressive Dolphin Stadium, which seats over 1 200 spectators, who were thrilled and delighted with the amazing talent of these marine creatures. The Theme of the new show is Eco Awareness and the messaging around saving the Planet. 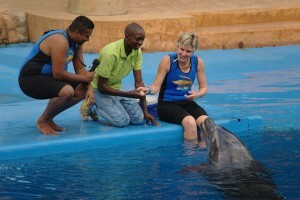 It included an interactive AV with two mascots of Ushaka, Flopsim and Jepsim. One lucky volunteer also gets to be part of the show and interact with the dolphins, which was really cool! 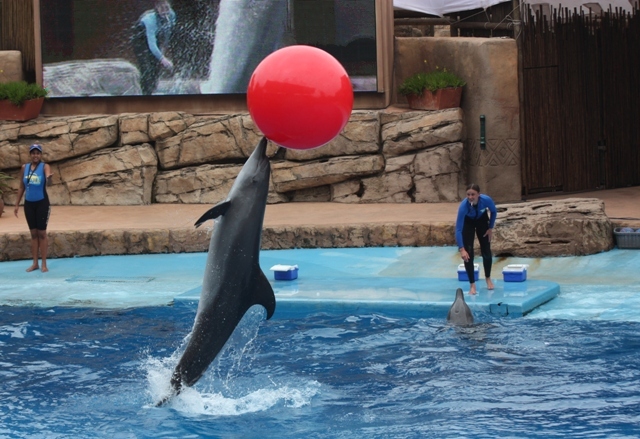 Over and above being entertained by these magnificent creatures at Ushaka, the aim was to show humans how polluting the environment can affect the creatures of the ocean. We also learnt that Khwezi is 19 years old, 3 meters long and weighs 260 kgs! 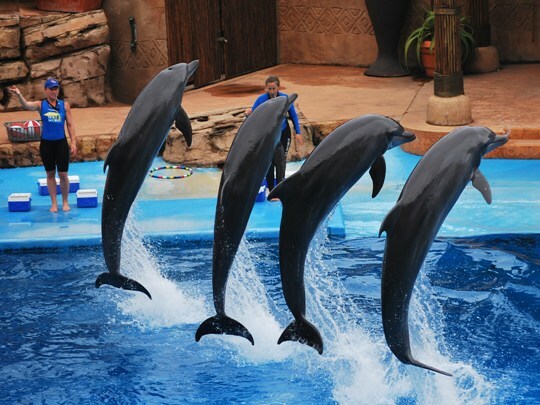 The Ushaka Dolphin Show consisted of 4 boy dolphins and 5 girl dolphins and they had the crowd standing up and clapping to the music, talent, tricks and skills. The Show is great entertainment for the whole family and also has a very clear message that we all need to be Eco Heroes and save our planet and oceans. 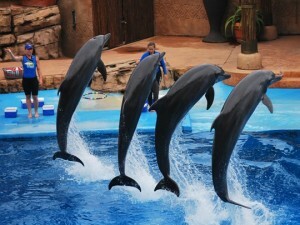 See you at Ushaka! Durban Sunday 14 September – Things to do! Workshop – A history over 150 years old!